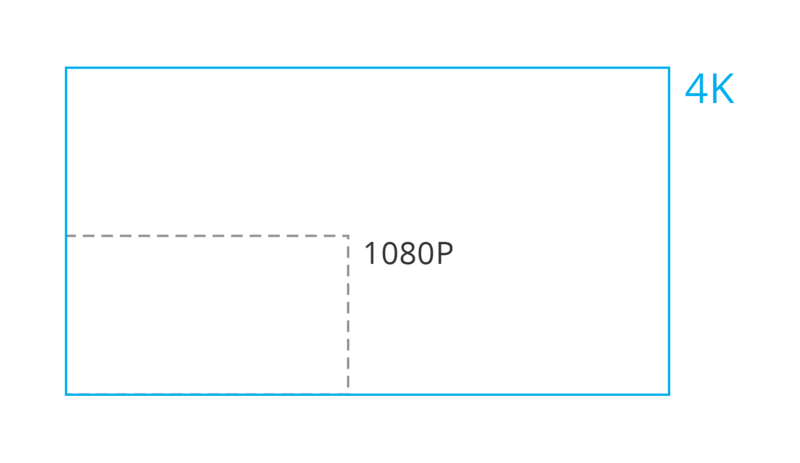 Provides multi-interface docking connectivity to two computers and two 4K displays. 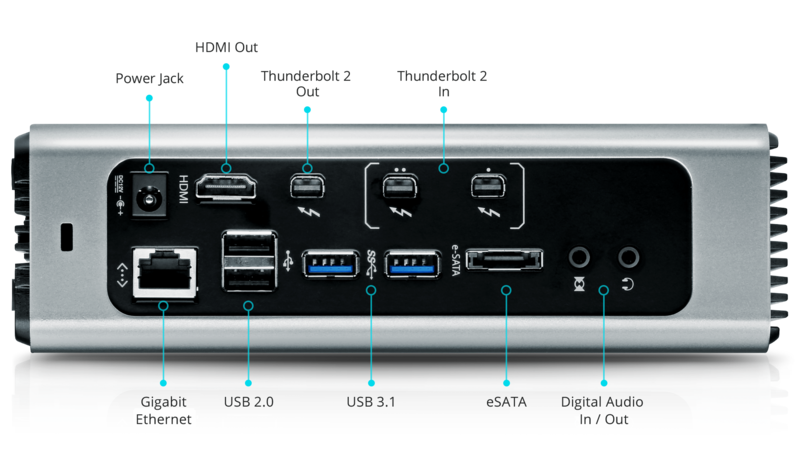 Stylish, intuitive and designed with a wealth of functionality and convenience, the new US7220 Thunderbolt™ 2 KVM Docking Station from ATEN takes your Thunderbolt setup to the next level. 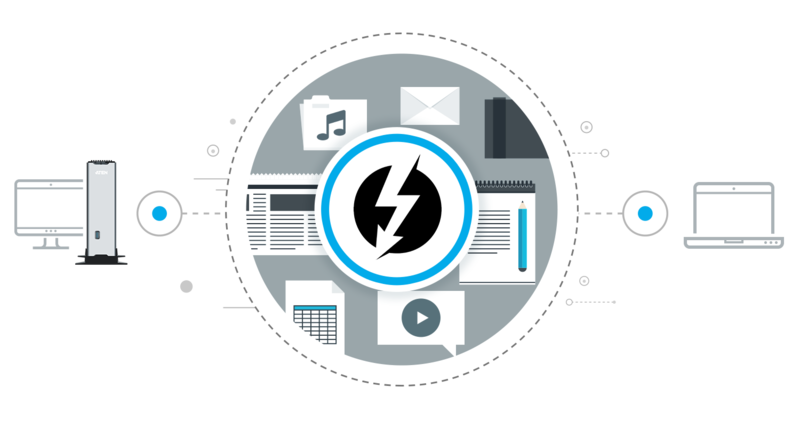 As a dual-computer KVM docking station, it not only allows you to effortlessly share hardware resources and digital media at blazing speeds with two Thunderbolt 2-enabled laptops/computers, but also to seamlessly switch between them at the push of a button. ATEN's US7220 leads the way as a flexible, forward-thinking solution that leverages state-of-the-art technology to allow you to keep pace with the ever-increasing high-performance demands of your digital media work environment. Delivering faster-than ever access to all your digital media storage, high-speed file transfers and simultaneous dual-view 4k video output, the US7220 consolidates powerful throughput, video output and charging at state-of-the-art speeds that make sharing hardware resources with another Thunderbolt-enabled computer effortless and convenient. The ATEN US7220 Thunderbolt™ 2 KVM Docking Station also serves as a stylish docking station with expandability that makes it the ideal connectivity hub for any Thunderbolt setup. 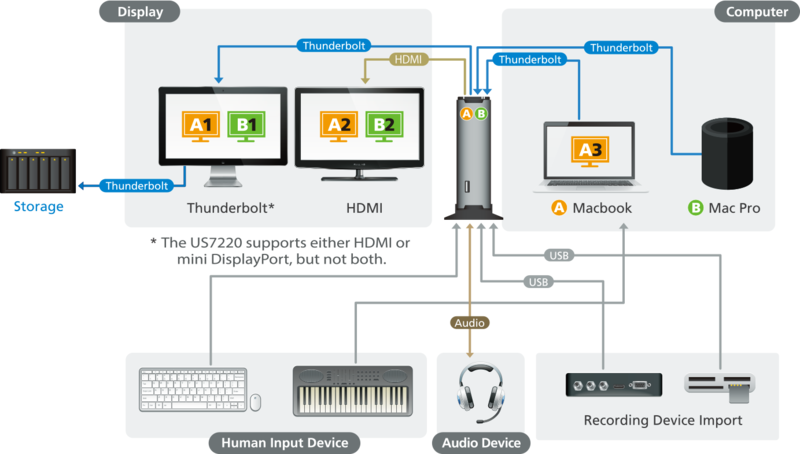 In addition to the two 4K displays, two Thunderbolt-enabled computers can directly share up to 11 devices and peripherals via the US7220, while up to five additional devices can be daisy-chained from a single Thunderbolt port. Feel every beat of your music from your multi-channel surround sound speakers by connecting them onto US7220 via an optical TOSLINK cable. Delivering the lossless audio experience not only to your ears but the masterpiece you are composing. The ATEN Thunderbolt™ 2 KVM Docking Station's dual-view display functionality immerses you in the precise colors and fine details of 4K. The next generation of image quality for high definition video, 4K delivers four times as much detail as 1080p Full HD resolutions. The ATEN Thunderbolt™ 2 KVM Docking Station natively supports two 4K displays – one HDMI and one Thunderbolt – so you can simultaneously enjoy astounding video quality at ultra-high resolutions and an unrestricted dual-view multimedia experience with blazing data transfer speeds, whether you are watching videos, editing digital media, playing games, designing graphics – anything that demands high-definition visuals. For exclusive product updates, application stories, helpful tips & more.